There is no escaping the fact that in life we sometimes need the help of credit. Very few people have the wealth necessary to go through life without having to finance large purchases. When you buy a home, for example, you will need to set up a mortgage to pay for the extremely high cost of a home over a period of time. The same can go for other smaller purchases like appliances for your home and technological devices necessary for work and schooling. When one of these expenses pops up, you will need to be able to use your credit card in order to make your purchase. However, if you have struggled with credit in the past, this might be hard. Before you can use your credit card again, you will need to start fixing your credit. It is important to remember that we are currently in the middle of a very serious recession. Many people across the country, through no fault of their own, are losing their jobs, rendering them unable to pay the bills that they once paid for with ease. The very sad result of this is that many people have had their homes foreclosed upon for failure to pay a mortgage. If you are one of the many people who has lost your home to a foreclosure, you are probably aware by now that it has had a less than stellar effect on your credit score. Remember, however, that fixing your credit is not impossible. Fixing your credit is actually very easy with the use of a credit repair company. Most people simply are not educated enough in the world of finance to understand the ins and outs of debt relief, this is why hiring a credit repair business will come in handy. However, since you are already having financial problems, you will need to keep the price in mind before hiring someone to start fixing your credit. There are many different prices to consider when choosing a business to help you with your debt. You should learn what different people charge and why before starting. Remember that a credit repair business has to pay their employees for dedicating their time to fixing your credit. They also have to pay for the amenities of their building. Each business will have a different price depending on their unique situation. Usually, the better your consultant, the more expensive he or she will be. Also, attorneys and accountants tend to charge an hourly or daily fee for their services. The hourly or daily rate will depend entirely on the status of that consultant. Do Credit Repairs Companies Need To Be Licensed In Your State? If you want to improve your credit report, there are several things you can do. 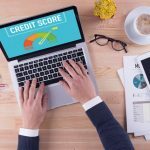 It does take some time and effort, and you will most likely need to pay your creditors what you owe, but if you take everything a step at a time, you can get the credit score you want without becoming overwhelmed. It is also possible to do everything on your own, especially if you’re willing to take on the additional stress of contacting your creditors. In the end, you will know that you have done all you can to change your financial outlook, and that will make your victory even sweeter. If you really want some help to improve your credit report, there are credit counselors you can turn to. It is important to be wary of some, especially those who claim they can clean up your credit report with no input or help from you. These agents are simply submitting disputes for each derogatory item on your credit report so that they will be removed for investigation. After they are removed, your credit score will jump greatly. At that point, the company will collect its fee and run. If that were the end of the story, it would be wonderful. But the truth is that those derogatory items will eventually make their way back to your credit report when they are found to be valid. To be sure you have found a legitimate credit counselor, check that the company has been licensed in your state. It may not be required in some states, but it certainly helps to know they have taken that step. If, however, you work with a credit counselor who does everything the right way, you could benefit from their help while you improve your credit report. These counselors will help you contact your creditors to work out payment plans–not to dispute the charges. They can take care of the hard part while you work on redefining your budget to handle the payments you must make. It takes a lot of work off your plate, for one thing. For another, these credit counselors can often negotiate better terms for you. You will still have to do the work and pay the money, but you can often complete everything in a shorter amount of time without feeling overwhelmed. You can improve your credit report, so don’t fret. Just be sure that you do everything correctly and don’t try to take the easy way out. In time, you will see vast improvements that will allow you to save thousands of dollars in the long run. It’s well worth the time and effort. Are you in the market for a new car? Whether you are going to get a comfortable and reliable vehicle for your family, or you are going to splurge on a shiny new sports car, it’s important to make sure that you have your credit in order before you try to get a loan. Everyone knows that your credit score is going to be a huge factor when you are trying to get a vehicle. Some companies may require that you put down a much larger down payment if you have a poor credit score. Those who do not have the cash for a down payment now may not be able to get a loan at all. If they are able to qualify for a loan with bad credit, they are going to have to deal with high interest rates on the loan. This is going to cost you many thousands of dollars over the life of the loan! Instead of simply dealing with those high costs, you can take steps to begin to fix your credit score. In the example of a car loan, you will be paying a substantially higher interest rate if you have a low credit score. Those who have a score around 500 to 599 will pay an interest rate of around 14.8 percent. On a $22000 loan for 36 months, this means your monthly payment is going to be around $762! With a score of 620 to 659, the interest rate drops to around 10.9%. When you hit the 720 range, it can drop to about 7.1 percent. As you can see, the higher your score the better your rates are going to be. Individuals who have less than perfect credit will find that getting a loan is going to be difficult whether they are getting an auto loan, a home loan or a personal loan. Bad credit can be a huge burden, so it’s important to do more now to protect and improve your credit score. Paying all of your bills on time is going to help. You can do other things that will improve your credit score fast too. If you are looking into a loan, get a copy of your credit report first. You want to know your score going into the loan so you can determine if you should take the time to fix your credit first. You can find some great credit repair software that can help you. With more and more people having bad credit today, it’s making it difficult for people to get loans to buy things such as automobiles and houses. Bad credit can even make it difficult to get a job. The lenders are afraid of lending to those who have bad credit, but many people are falling into that category today. When they do lend money to people with poor credit, they have higher interest rates in an effort to protect themselves. In some cases, these rates are outrageously high, but those who need the loans believe that can do little to change their situation. Fortunately, that’s not the case. You can improve your credit and you should take steps to do it now. Fixing credit is not something that is magical. It takes time and knowhow, but you can do it on your own. Even though it does take some time, it’s not as long as one might imagine. The first thing that you must to before getting a loan is to make sure that you are paying your current bills on time. 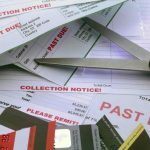 If you do not have the ability to pay your bills on time now, lenders will know that you aren’t going to pay them either. You should also get a copy of your credit report so you can see and challenge any errors that might be causing your credit rating to drop. Take care of these with the credit bureau, and you will see that you can improve your credit rating. 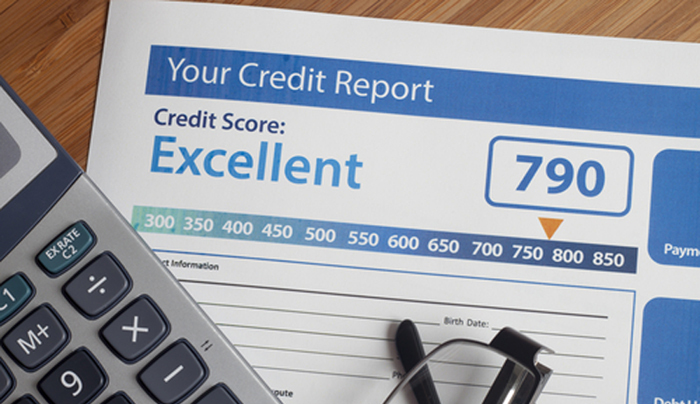 Once you start fixing your credit, you are going to want to shoot for a score of 700 or higher. When you have a high score like this, you will be able to save thousands of dollars over the years. You can sometimes even negotiate with lenders for even better rates. Because they are starved for quality customers who are going to pay them back, they are often willing to negotiate. They will see you as a good risk to take. You will get more than just better interest rates when you fix your credit though. You can also get better rates on your insurance. In some cases, you can even have deposits waived when it comes to utilities. Your cell phone pricing and service costs are going to be lower as well. Having great credit can help you save money in some surprising ways. It also gives you a good feeling inside to know that you can qualify for a fair loan when you need one.